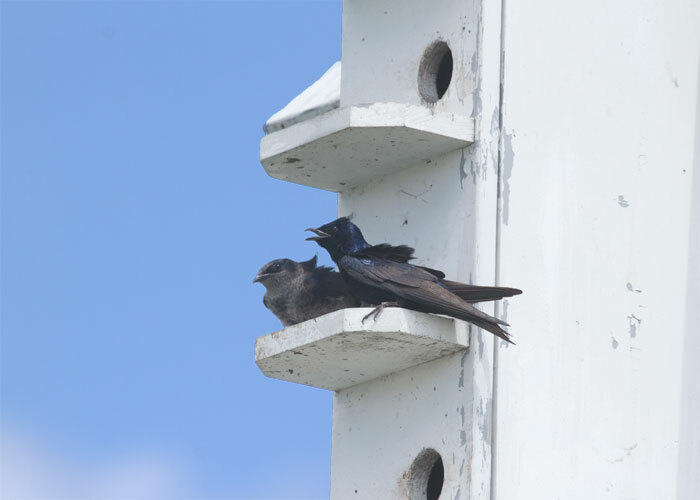 In an Amish neighborhood near Kalona, Iowa, I stopped at a wooden house and asked the couple on the porch if might photograph their purple martin colony. They said yes. The couple on the birdhouse porch also didn't seem to mind.